for anyone interested in a bit of armchair travel to the beautiful american southwest, today are the first two slide shows from my recent wander. 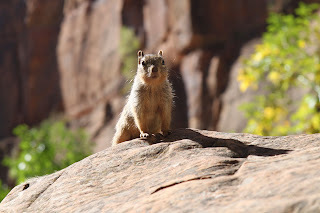 the first set of photos (31 snaps) are from zion national park - we visited zion exactly a week ago. at zion we drove to the park from kanab, utah (which was our 'home' for a couple days after leaving albuquerque). once we got to zion, we parked our car and utilized the park's shuttle system. during busy months the majority of the park is only accessible via the park's shuttle system. apparently these shuttles run in a few other of the country's popular national parks during tourist season - i think they are great - the manifest goal, of course, is to reduce traffic congestion and pollution; but i noticed the shuttle had a latent benefit by bringing people together the shuttle created a little temporary quasi-community. at zion shuttles ran every 15 minutes and go between many of the trailheads and other points of interest, visitors can jump on and off as many times as their little hearts desire. zion was great - we hiked for several hours on a few of the parks many trails. even though it was a weekday and getting on in october there were plenty of people about - some groups, both school kids and adult tours, but also plenty of folks just on vacation like f and i. there were also along the narrows trail lots of very gregarious rock squirrels! if you wish you can enlarge the slide shows, after hitting play and getting show to start click on arrow icon in the lower right corner of the screen. the day after visiting zion we hit the road and traveled out of utah, into arizona and then back into utah. after a couple stops and 225 miles east we ended up at monument valley tribal park. 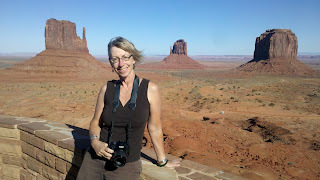 the second show (18 photos) is from a drive we took through monument valley. the photo on the right is of me before we started off on the drive - you can see the park's famous two 'mittens' in the background. this photo isn't included in the slide show as it was taken with my cellphone! i can't believe how good it turned out - geez, who needs a big ol' camera when one can snap a photo as good as this with an itty bitty smart phone! monument valley lies within the navajo nation reservation, the navajo name for the area is tsé biiʼ ndzisgaii, which means valley of the rocks. 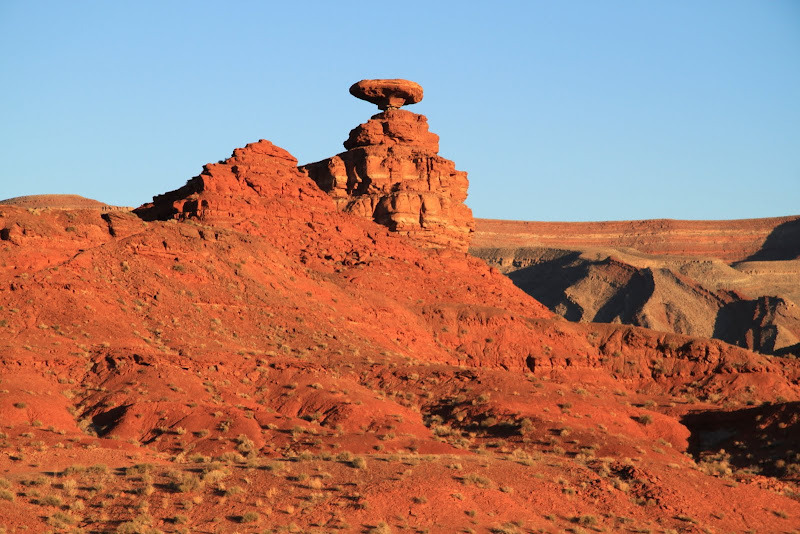 the area is designated as a navajo tribal park which is the navajo nation equivalent of a national park. one can either view monument valley from the highway (rt. 163) for free or pay a small fee (i'm pretty sure it was $10 for the two of us) in order to drive through the area. we elected to do the latter - and it was good thing i planned ahead and rented a high clearance vehicle, the dirt road through the park was very rough; if one wasn't careful one could do significant damage driving a regular car on the dirt road (it would be criminal to put a paved road through the park, so dirt road it ought to be!) there were other options to get up close and personal to the huge sandstone masterpieces - one could opt for a vehicular guided tour (we saw plenty of these going through - basically they were conducted with those safari type vehicles) or one could take a horse-riding tour - that could be fun if i wasn't terrified of getting thrown off a horse (despite my fondness for animals, i don't seem to have an affinity for horseback riding). i understand there are aerial tours (plane or hot-air balloon) but we didn't see any of those the afternoon we visited. for information on the park, visit the park's website. 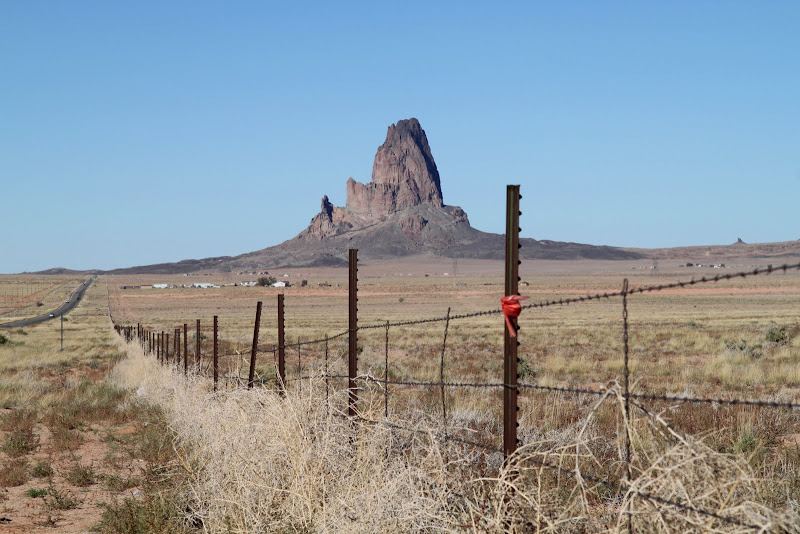 after visiting monument valley we traveled north and east to cortez, colorado. on the way to cortez we passed through the small town of mexican hat, utah - named undoubtedly after the unique sombrero shaped rock nearby. tom petty's perfect road trip song runnin' down a dream - the song was released in 1989 on petty's first solo album full moon fever. runnin' down a dream is also the title of a 2007 documentary that peter bogdanovich did on tom petty and the heartbreakers. 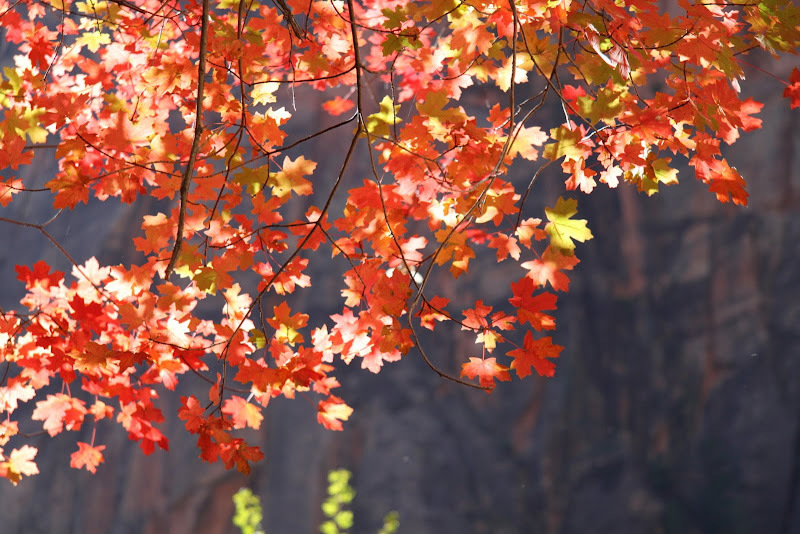 You got to see a lot more of Zion than we did. And I love that they have shuttles now. I think we just drove through when I was there. In fact, knowing my dad, we probably didn't even get out of the car! Wow, your photos are great! We loved Zion and we stopped by Bryce Canyon. I am hoping to visit Monument Valley soon. It looks like you had a wonderful trip. Loved the photos dear mouse! Especially the one where the sun is bouncing off the rock, and the one of you. Thanks for sharing them. I have been getting sneak previews of these via my Flickr friendship with you. My favourite iPad app (Flipboard) always chooses an image from my Flickr friends to turn into the front cover of that days magazine and I have to say there have been some stunning ones from you recently.